View Poll Results: How do you rate this book? This is the most popular book on the Enneagram and it's the first one that I read. Chapters of the book for each of the 9 types are also available by audiobook. It is pretty basic and fundamental reading for anyone that is interested in the Enneagram. There is about 90 pages of material to introduce the system and how it works. This includes an overview of nine types, the roots of the system, explanation of each of the enneagram triads, instinctual variants, wings, as well as directions of integration and disintegration. There is a chapter on the Essence of Personality, which is a very good basic explanation of the fears of the types, their basic needs and distorted ways of perceiving. One of the better chapters is on Cultivating Awareness, which I think from a practical perspective is one of the most valuable things the Enneagram can be used for. Levels of development, described here, is one of the most important concepts in Riso/Hudson's work and it's explained well in the book. After the introductory material, there is chapter on each of the profiles, which includes information on childhood patterns, descriptions of the wings, descriptions of the instinctual variants, and detailed information on issues that each type encounters and what they can do to support growth. One the one hand, this is one of my favorite books on personality type. It has excellent foundational materials and explanations. If I were to have a criticism, it is that it is clearly written for the masses to be a popular book and it suffers from the malaise associated with that. You may not get the deeper or penetrating insights found in some of the other books out there. It's a great first book on Enneagram but my recommendation is not to stop with this and explore deeper by looking at other things like Helen Palmer's material, Facets of Unity or Naranjo. Yeah but their sexual 7 description rocks. Sorry Naranjo, but not all sexual 7's are dreamy NF's pal. Some are crazy and live wild rockstarish lives. This goes especially for the Se dom Sx 7's. I think Wisdom of the Enneagram is a great way to introduce oneself to the types and their basic issues, but you will eventually need to move off their works if you really want to understand what the enneagram actually is. 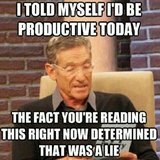 Actually, I hold the authors responsible for starting a number of myths regarding types 2 (they're all nicey-nice love-obsessed helpers), 5 (any sp-last ENTP nerd will see themselves in 95% of their descriptions), 6 (they're all blithering weaklings), and 7 (crude, materialistic, hyperactive Robin-Williams-style monkeys) for starters. The reason people can't type themselves and come online totally confused is often due to this book. I do, however, like that they have a) delivered the enneagram to millions of people worldwide, and b) really do introduce the reader to the theory behind the enneagram--they go into great detail about the various triads as well as the instincts, and I still haven't found better information on this anywhere else. Their delineations of these various aspects of the enneagram, as well as their understanding of the mechanisms behind personality are, in my opinion, top rate. 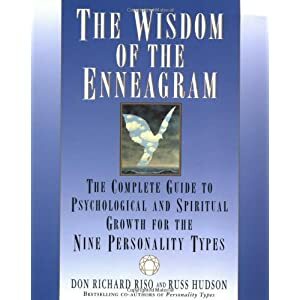 This book, despite my earlier criticisms, is a classic, and any serious enneagram student should at least be acquainted with it. Just don't make this your final understanding of the types! There's a LOT more out there. I, too, give it 3 stars. By Alea_iacta_est in forum What's my Type?